miche % off | Sophisticated Diva ~ A.K.A. Along came Polly! Wait!! Is that a new piece of Jewelry? You’d better get a new jewelry organizer right away! Travel in style with this one ~ keep your jewelry protected and organized on your short travels! #Miche Black Friday is in FULL SWING! Miche Black Friday product are all loaded on my site now, and orders are starting to come in! Supplies are first come first serve, and limited, so make SURE you get your favorites now, then return on CYBER MONDAY for even more savings! There will be a 12 days of Christmas as well, so return often and see what’s new! 12 days will start promptly on December 1st! for your favorite Black Friday deals! Miche cyber MONDAY sale — round one!! These spectacular items will be released at 9am MOUNTAIN TIME on Monday December 1st!! Don’t forget to stay tuned for the MICHE HOLIDAY SHOPPORTUNITY through Dec 9th!! 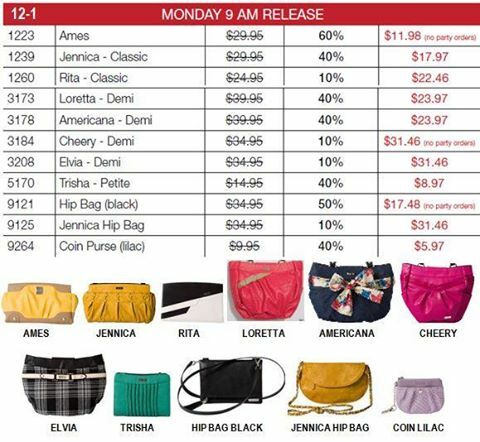 CLICK HERE on my MICHE WEBSITE to view and order at 9am Monday, you simply DON’T WANT to miss out. As a matter of fact, you may want to check the link RIGHT NOW, before Friday and Saturday’s BLACK FRIDAY AND CYBER SATURDAY are all gone! Up to 60% off select miche items, and 50% off the prima base!! Miche has something for EVERY woman, child, teen!! It’s truly a gift that keeps on giving, because she can use her Miche base over and over throughout the year, and purchase new shells and handles to change her look, regardless of her outfit, mood, or holiday! Here’s your sneak peek at the Monday 9am lineup!! See you there!